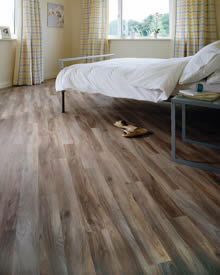 West Lancs Flooring are experts in all aspects of contract flooring and vinyl flooring is no exception. Using the finest quality products including brands Gerflor, Amtico, Karndean, Forbo, Armstrong, Tarkettand Polyflor, we are able to offer you advice and reassurance as to the most suitable flooring for your premises. 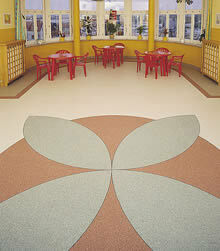 Vinyl flooring is hard wearing and very easy to maintain. The flooring is available in many different colours and designs to ensure keeping in with the decor of your building and we can also incorporate your branding and logo if required. We have utilised vinyl flooring within many sectors including schools, colleges, health environments, sports and leisure, hotels and restaurants. We are approved installers of both Karndeanand Amticoproducts, both of which offer the most spectacular designs to suits all tastes. Please see below for an introduction to both brands and feel free to call West Lancs Flooring for further information. It's this inspiration that has led to an unrivalled collection of Woods, Stones and Abstract products. There is a huge selection to choose from – traditional, classic and contemporary interiors to suit any room or space.